CHICAGO (March 27, 2019) – Cloud5 Communications, the leading communications technology and services provider for the hospitality industry, has recently completed the installation of high speed internet access (HSIA) at the Key West Marriott Beachside Hotel. The advanced HSIA network ensures that the property continues to provide the highest level of connectivity for guest satisfaction and meets Marriott’s latest Global Property Network Standards (GPNS) for Internet. Cloud5 is a top ranked Marriott Internet supplier. Serving the full-range of Marriott properties from limited service to large conference resorts, Cloud5 has the highest level of system provider certification as a Marriott GPNS Full Certified provider for HSIA. Cloud5 offers hotels a complete range of Internet services including high-performance property-wide guest and back-of-house WiFi, advanced services and GRE integration, conference and event services tool, network management and 24/7 guest and associate support. The Key West Marriott Beachside Hotel is one of highest rated Key West hotels in the Florida Keys. The expansive seven-acre property includes multiple dining options, marina, pool and the largest ballroom in Key West. The HSIA upgrade encompasses the entire property including three floors, 92-guest rooms, 127 suites, six meeting rooms of more than 13,000 sq ft, spa, wellness center, dining and more. 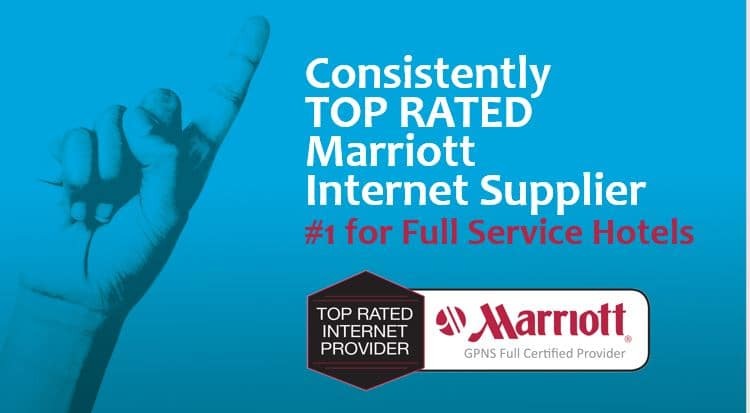 Cloud5 is working with many Marriott properties across the Americas that are required to upgrade to the current GPNS Internet standards by July 2019. For more information, Marriott hotels, owners and/or management companies can contact us at marriott@cloud5.com. Cloud5 is hospitality’s #1 communications technology & services platform. Serving thousands of hotels, we design, build and support high-performance Internet and voice solutions for hotels committed to offering the best connectivity experience. Solutions include guest HSIA, conference WiFi products and management, back office Internet, cloud-based and on-premises PBX, WAN/LAN management and high-conversion contact center services. For more information on Cloud5 solutions, visit www.cloud5.com, or call 877.241.2516.